Google’s already tossed Pac Man into its maps—now it’s Mario’s turn to shine. 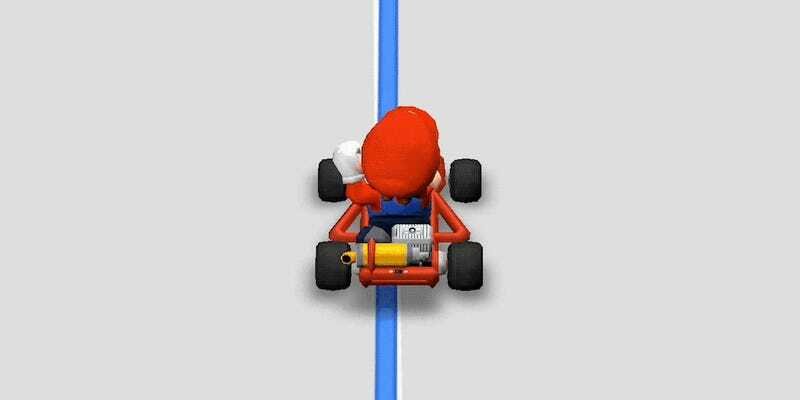 To celebrate Mario Day, users of the Google Maps phone app can now send their favorite plumber karting around their neighborhood. Leading into March 10th–whose abbreviation Mar. 10 looks like the most l33t spelling of Mario ever–anyone using the Google Maps app on their phone can hit a button to turn their location icon into Mario. The question block-shaped button is found in the bottom right of the app. Users will be able to use the feature for one week. If you don’t see the block, make sure to update your app in the store first. If you’re like me and still don’t see it, try to be patient. The feature is “rolling out” globally throughout the day. By the end of the day, you should be able to fulfill your childhood dream of having Mario actually kart around Brooklyn.